Let me describe an Irish symbol for you ….. two hands of friendship hold a heart of love beneath a crown of loyalty. I know you immediately recognize this enduring symbol of Irish love. It can be none other than the spectacular Claddagh. Today I’m delighted to host a little giveaway sponsored by the good folks at The Irish Store. The prize is a beautiful Irish Claddagh pendant which I know the winner will treasure. But before I share the details of today’s sweepstakes, let’s explore why we Irish love our Claddagh rings. Why Is The Claddagh Emblem So Popular? The Claddagh Ring seems to grow in popularity from year to year. I have met many, many Irish Americans who wear these magnificent rings with true Irish pride. As a beloved symbol of Ireland, Galway and the Claddagh village, the popularity of these rings is really no surprise at all. Let’s face it, this ring boasts a truly unique design, that tells a story of love, faith and loyalty that will always hold a universal and exquisitely sentimental appeal. 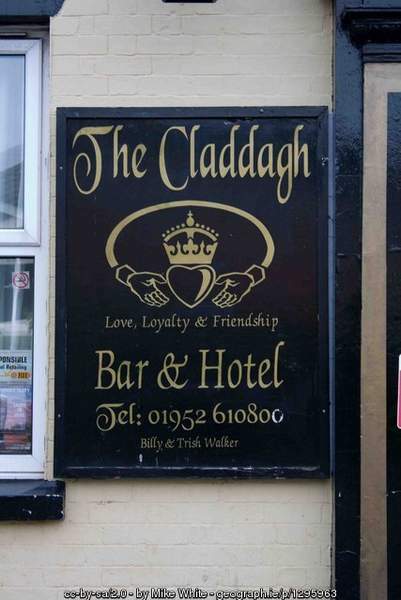 The Claddagh emblem adorns signs for Irish establishments throughout the world. The picture above is from a bar near Telford in England. There are three different legends told to explain the origins of the Claddagh ring. Each tale claims to tell the true history of this beloved ring, and each historical version has attained near mythical status in Ireland. One story tells of a Galway man, Richard Joyce, who was captured by Algerian pirates and sold as a slave to a Moorish goldsmith. Richard quickly learned his master’s craft, and supposedly created the ring for his Galway girl. Rather than marry the goldsmith’s daughter when freed, Richard returned to Ireland to find his one true love. Another theory centers around Margaret Joyce a Galway woman who married a Spanish merchant and became very rich. 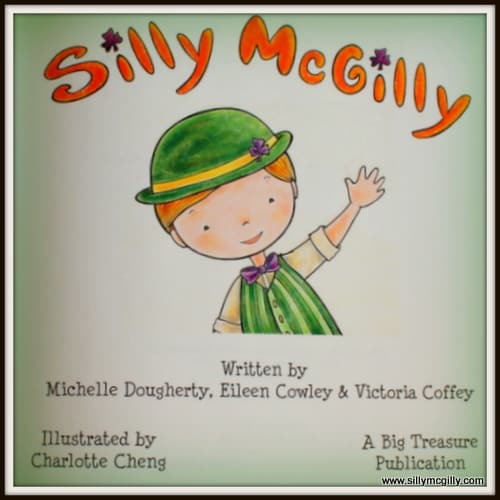 Once widowed she set about completing philanthropic works throughout the City of Galway. An eagle rewarded her for her generosity by dropping a Claddagh ring in her lap. 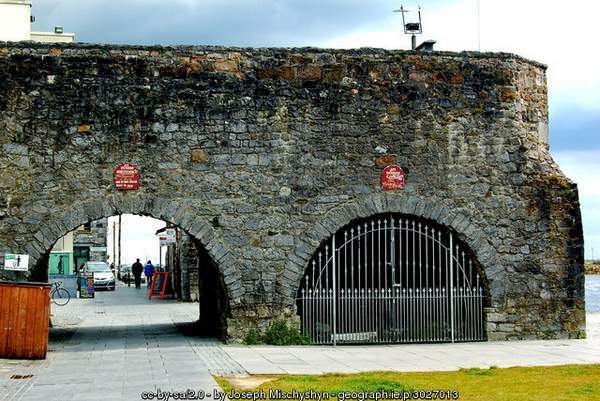 The medieval Spanish Arch pictured above was built in Galway in 1584. It stood outside the city walls at that time, but allowed access to the harbor, where Spanish traders docked their ships for loading and unloading. This Galway landmark’s name underscore the extensive historical trading links between Spain and Galway. Perhaps Margaret Joyce supported building this arch. The third Claddagh tale tells of a Spanish prince hidden from the English when the Spanish Armada went adrift off the West Coast of Ireland. He fell in love with a girl from the Claddagh village, presenting her with the ring to express his enduring love. It’s simply a beautiful tale, and my favorite of all three little histories. There’s something so romantic about stories of Spanish sailors. For more details on each proposed history of the Claddagh check out my previous post on The Claddagh Ring – Ireland’s Enduring Symbol of Friendship, Faith, Love and Loyalty. 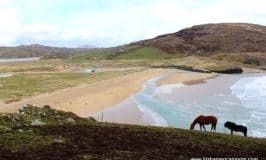 The Irish Store was established in 1987 and this online store now delivers Irish made goods to people of Irish ancestry around the world who together share a passion for all things Irish. Founded by Lulu O’Sullivan, the Irish Store allows overseas customers to purchase authentic Irish products and feel comfortable in knowing that what they order is designed and made in Ireland. Lulu supports Irish businesses by selling products from all over Ireland. 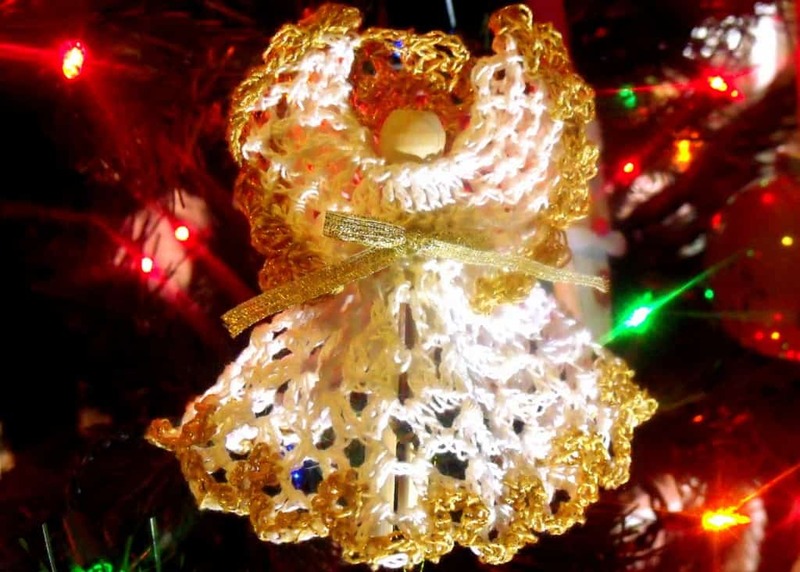 The vast array of gifts available showcases the unique talents of Irish artists and craftsmen. 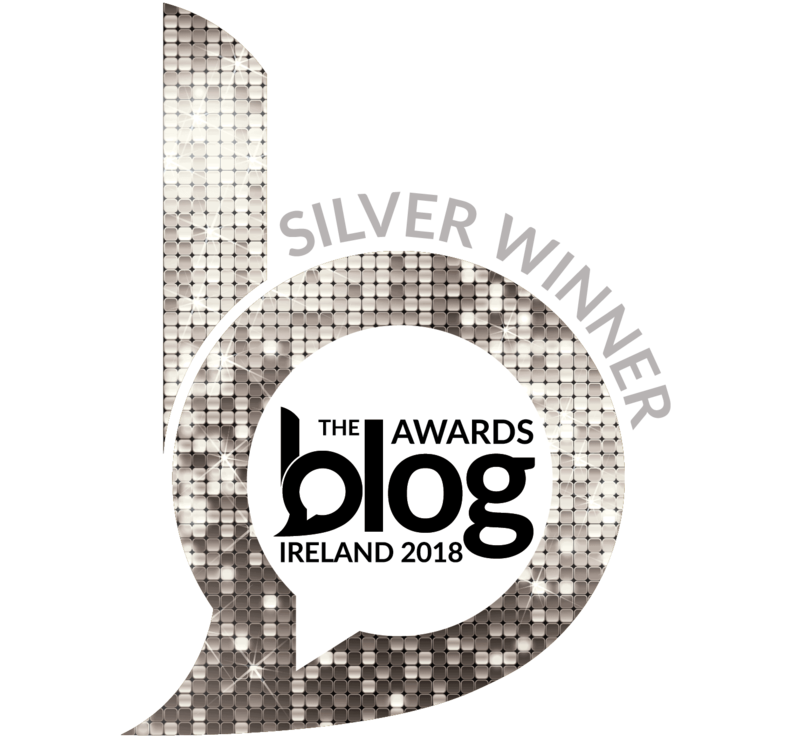 Winner of the Website Of The Year Award in 2012 by the Retail Excellence Ireland Awards, The Irish Store is a name you can trust and rely upon. 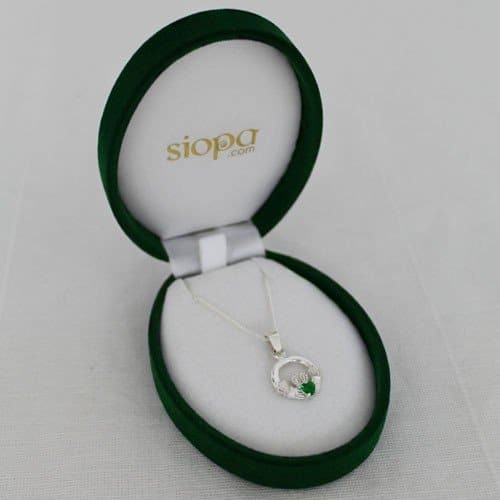 Today’s prize is a beautiful Irish Claddagh sterling silver pendant with a green heart-shaped stone. We chose a pendant as a prize, rather than a ring, since one size fits all. The design shows a heart being encircled by a pair of hands with a crown about the heart – the hands symbolize friendship; the crown represents loyalty, and the heart is love. I love this beautiful expression associated with the giving of a Claddagh …. Through this prize I wish to express my gratitude to readers of Irish American Mom for your friendship, support and loyalty. Thank you from the bottom of my heart. To enter just leave a comment on this blog post by noon on Wednesday, September 2nd, 2015. Any comment will do, even one word, but if you need inspiration why not tell us what the Claddagh means to you. Winners will be announced on Wednesday September 2nd, 2015, at the bottom of this blog post. Thanks to everyone who supports and enters this little giveaway. Feel free to tell your family and friends by sharing this post, and thanks a bunch for spreading the word about Irish American Mom. And a big thank you to The Irish Store for sponsoring this wonderful prize. I’ll send you a quick e-mail, Barb, to let you know you are our prize winner. And a big thank you to the Irish Store for sponsoring this wonderful prize and for introducing their collection of beautiful Claddagh jewelry. 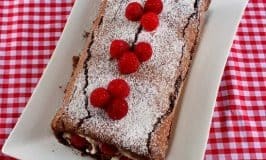 Disclosure: No cash payment was received for publishing this giveaway post. I wish to thank The Irish Store for graciously sponsoring the prize for this Claddagh pendant giveaway. 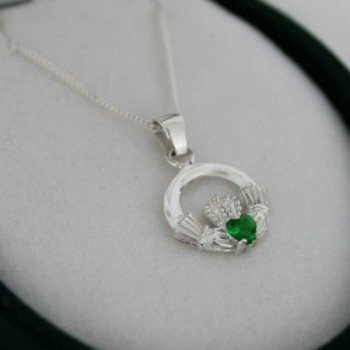 This necklace is a beautiful way to display our Irish heritage. Two hands. One Irish and one American-holding my dream of Ireland. I love Ireland and all things Irish. This is a beautiful necklace which represents the love of two people becoming united. I love the culture of Ireland and all the awesome stories of their heritage. 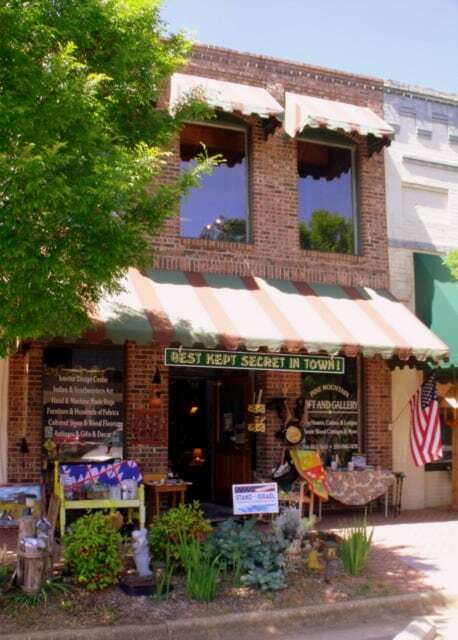 Love the Irish store they have great stuff and fabulous service. Thanks for sharing. I love this necklace! I have a claddagh engagement ring.